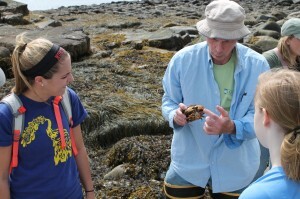 The Schoodic Experience is part of the SBE biological science orientation course, NFA 117, offered to freshmen Biology, Ecology, Zoology, and Clinical Laboratory Science majors. But as the students of this trip found, the three day trip to the Schoodic Education and Research Center in Acadia National Park was much more than just an orientation course. 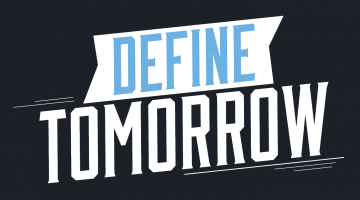 Students had the opportunity to explore their major in an out of classroom experience, where they were able to meet their professors, fellow peers, and graduate students that many will have as a TA for a variety of laboratory classes. Every year SBE faculty lead different workshops and lectures, giving students the opportunity to see a variety of different areas of study. Field excursions went for 90-120 minutes, and students were given the choice of which excursions they would like to attend. Brian Olsen, assistant professor of Biology & Ecology, led a field excursion titled “Birds of Schoodic”. Students were taught how to identify birds using a field guide, as well as the thought process required to identify a hypothesis using the scientific method in a real applicable situation. Ann Dieffenbacher, Assistant director for Administration, led a field excursion to a near by bog to study the climate and ecological history of Schoodic using samples from the soil. Clarissa Henry, associate professor of biological sciences, gave a demonstration on zebra fish, showing her students how to identify mutant zebra fish embryos using dissecting microscopes. Seth Tyler, professor of Zoology, led an intertidal pool walk titled “Life in the Intertidal Zone”, where students collected many organisms for identification. During down time, students had the oppurtunity to play sports, participate in activities and games, and enjoy evening movies. Farahad Dastoor, the organizer of the Schoodic trip as well as the Professor of Biology explains how the trip enhances incoming students overall experience.